The Canadian International Food Security Research Fund (CIFSRF) invests in scaling up solutions that increase production, access, and consumption of safe and nutritious food. 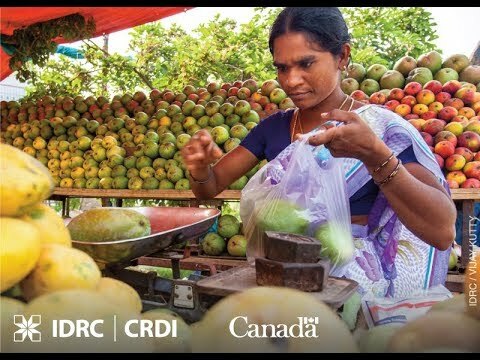 Jointly funded by IDRC and Global Affairs Canada, CIFSRF addresses the critical challenge of global hunger through applied research in 25 countries. The CA$124 million fund supports Canadian-developing country partnerships that test and scale up practical solutions to increase food production, raise income for farming families, and improve nutrition throughout the Global South. Since 2009, CIFSRF has funded 39 applied, collaborative, and results-oriented research projects. These initiatives are significantly improving food and nutritional security for men and women smallholder farmers. Championing the value of multi-sector partnerships, CIFSRF works directly with 40 Southern and 20 Canadian institutions, including universities, civil society organizations, governments, and the private sector, to test and deploy proven food security and nutrition solutions. CIFSRF projects generate knowledge and innovations such as new skills and tools, improved farming practices, and novel ways to increase sustainable agricultural productivity, foster youth-led agribusinesses, and diversify diets in Latin America, Africa, and Asia. A woman sends text messages to other farmers to discuss what she and another farmer have seen in the soybean field. By 2050, the world’s population is expected to grow to 10 billion people. The world faces an essential yet daunting challenge in feeding a rapidly growing population. The State of Food Security and Nutrition in the World sends a clear message that Zero Hunger is one of the greatest challenges we face on a global level.